America's financial system has undergone a severe shock that is still cascading throughout the real economy. As financial institutions, their investors and homeowners have lost several trillion dollars, the combination of a contraction in asset values, declining consumer and business demand, and a weakened credit system have pushed the economy into a classic downward spiral. In the absence of heroic government measures, the financial crisis will lead to a serious general depression. Yet very substantial public spending and recapitalization of the nation's financial system, though necessary, are not sufficient. These measures must be combined with comprehensive regulation. 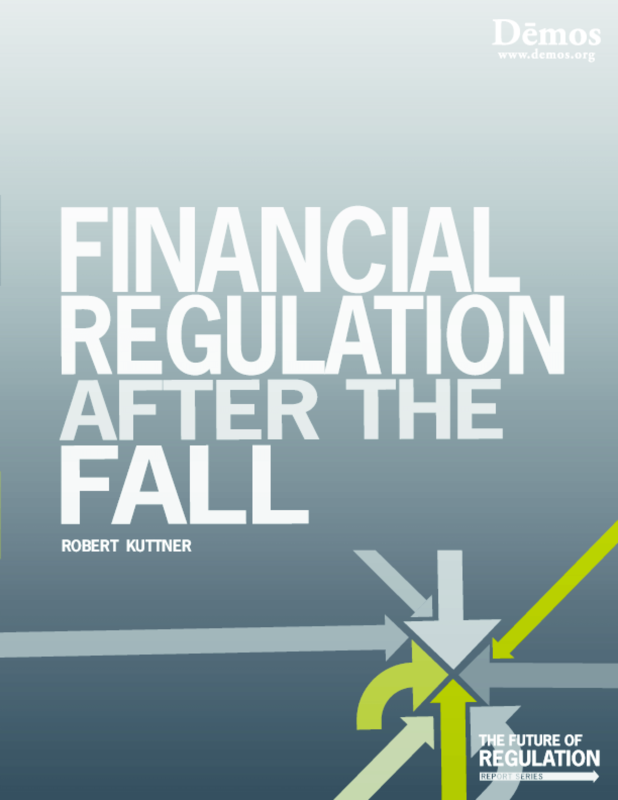 This report by Distinguished Senior Fellow Robert Kuttner, provides an in-depth look at the causes and consequences nearly three decades of deregulation, pinpoints the challenges thay lay ahead, and lays out a regulatory framework for bringing us out of this economic mess.